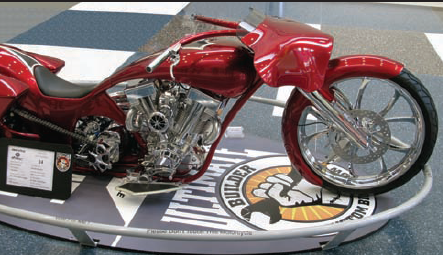 The 12 city Progressive International Motorcycle Show program reached its conclusion at Daytona Bike Week, which saw the staging of the first annual United States Championship of Custom Bike Building – the final round in the World Championship of Custom Bike Building affiliated Ultimate Builder custom bike show series. 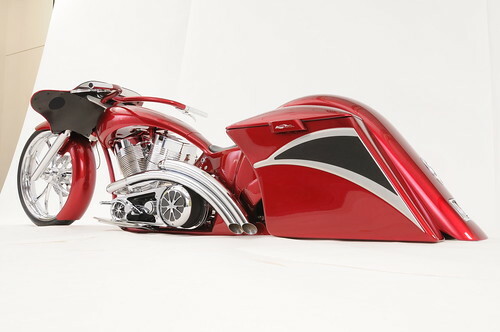 The win in the Star Motorcycles sponsored Freestyle class, and a $6,000 first prize, was taken by Kenny Williams (KW Customs, Angier, North Carolina) with ‘Tantalizer’, his much admired radical bagger. It is based on a Mike Garrison (formerly of Engenuity Motor Company fame) 127 ci engine, and dramatically sporting Performance Machine wheels, superb hand-crafted body work and swooping front and rear air-ride enabled styling. Sponsored by Yamaha’s GYTR (Genuine Yamaha Technology Racing) performance parts program, the Performance Custom class win was taken by Jack and Autumn McCoy of Grand Ledge, Michigan, with ‘Inferno’, a 1340 cc 2008 Suzuki B-King with twin turbochargers. The Harley-Davidson sponsored Modified Harley class was won by Chris Richardson of LA Speed Shop with ‘McPhiz’, an 80 ci Harley Panhead engined 1953 FL.In addition to a $6,000 prize, Tony Nicosia, Harley’s Screamin’ Eagle Performance Program Manager added a new 120 ci Screamin’ Eagle race engine to the prize pot when making the award, out of sheer admiration for Richardson’s work. The international affiliate event series that sees the World Championship play out in front of event crowds of over 1 million riders in 19 different countries outside of North America, before heading to the Sturgis Motorcycle Rally for the finals, has been one of the defining characteristics of the program. Not since 2005 have affiliate events been attempted in the USA, but with a total attendance of over half a million consumers, the Progressive IMS series represents the biggest opportunity to take the custom bike message to show attendees. 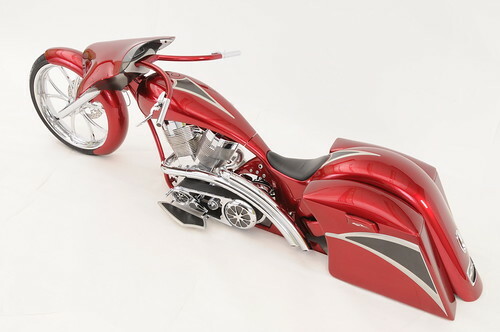 The 2010/2011 series was a pilot, both for AMD, for Advanstar, the show series owners, and for industry veteran Bob Kay’s Biker Pros organization, who operated all 12 custom shows. However, it has been an experiment that the market (exhibitors and competitors alike) are judging to have been a resounding success. 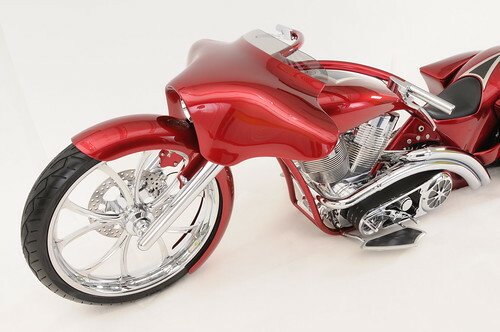 At all of the shows the quality of the bikes and presentation proved to be done of the primary attractions. There’s no question that exhibiting vendors and competitors have seen the benefit in the business they have done, and the valuable and viable contacts they have made with potential customers. Based on the success of this first year, plans are already underway to step the program up to another level in future years and take the message of customization to the widest possible audience.